This entry was posted in General on 5. November 2018 by Alex. Regular guests, newcomers and comebacks: All slots reserved! 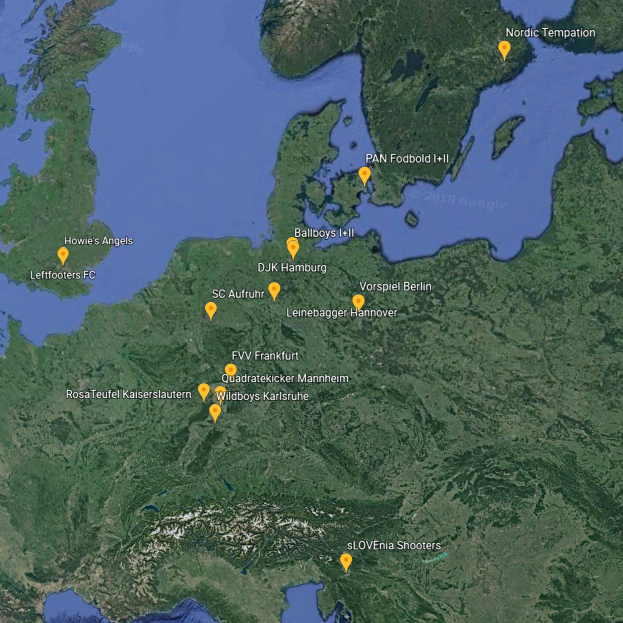 The StartschussMasters 2018 will be once again an international event: With registrations from Germany, England, Sweden and Slovenia, all 16 slots have been reserved. Among the participants are regular guests like SC Aufruhr from Bochum in Germany, newcomers like Howie’s Angels (England) or sLOVEnia Shooters (Slovenia) and we have a comeback of Leinebagger Hannover (Germany). We’re also happy to see our “straight allies” from DJK Hamburg once again. There are further teams on the waiting list. Therefore we would kindly ask all the registered teams to send us the tournament fee, if not already done. We’re looking forward to a great tournament on 3rd November! This entry was posted in General on 18. September 2018 by Alex. 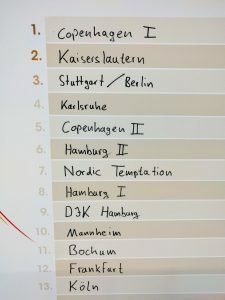 A historical moment: In 2017, Quadratekicker Mannheim has won for the first time the StartschussMasters in Hamburg. The boys with the charming dialect defeated Vorspiel Berlin in the final 3:1. At the award ceremony in the town hall, former Bundesliga manager Ewald Lienen passed over the trophies together with StartschussMasters patron Farid Müller. This entry was posted in General on 4. November 2017 by Alex. The winners of the StartschussMasters 2017 will get the cup out of the hands of Ewald Lienen! We’re happy to announce that the technical director of the FC St. Pauli will be guest of the ceremony on 4th November in the town hall. 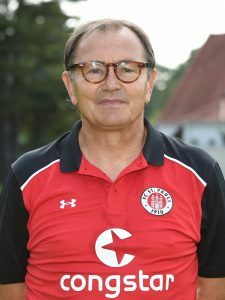 Lienen has been fielded 333 times in the german Bundesliga and continued his career for more than 20 years as team manager (for example 1. FC Köln, Hannover 96, Panonios Athen and finally FC St. Pauli). 16 teams from Germany and some other European countries will have the possibility to take part in the StartschussMasters. Already registerd are last year’s finalists Pan Fodbold (Copenhagen) and RosaTeufel (Kaiserslautern), as well es Gmadrid (Spain), Nordic Temptation (Sweden), DJK Hamburg and Vorspiel Berlin. Further teams can register here. This entry was posted in General on 16. September 2017 by Alex. Register now for the tournament 2017! 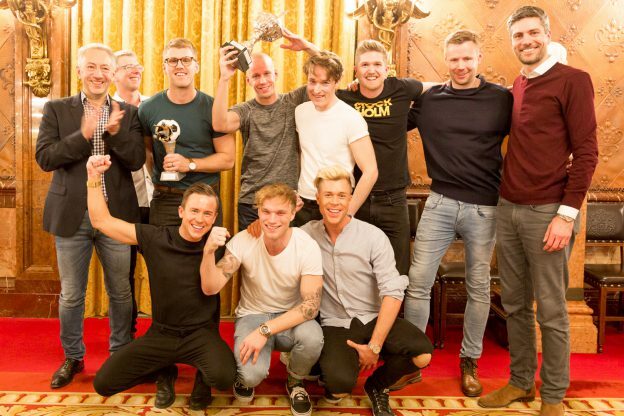 It’s already the twelveth edition: On 4th November the StartschussMasters will take place – Hamburg’s gay football tournament. Challenge last year’s winner PAN Fodbold Kopenhagen. We make it somehow traditional and will have our group draw and opening party at the “Wunderbar” like in the last years. Matches will again take place at the Sportpark Öjendorf. And the tournament fee has not changed as well, it’s 90 Euros. Register your team and click here! This entry was posted in General on 23. August 2017 by Alex. The winner is: PAN Fodbold Kopenhagen! We’ve got a winner! PAN Fodbold Kopenhagen beat the Rosa Teufel Kaiserslautern in the final 5:3. Congratulations! This entry was posted in General on 5. November 2016 by Alex. The way with the underground to the soccer hall tomorrow is unfortunately a bit more complicated because of construction work. For the part between the stations “Horner Rennbahn” and “Billstedt” you need to change into buses (german: Schienenersatzverkehr, SEV). At Billstedt you need to change back into the underground for the final part of the trip to the station “Steinfurther Allee”. This will take 15 minutes longer. For a map for your way by foot from the underground station “Steinfurther Allee” to the soccer hall, click here. This entry was posted in General on 4. November 2016 by Alex. 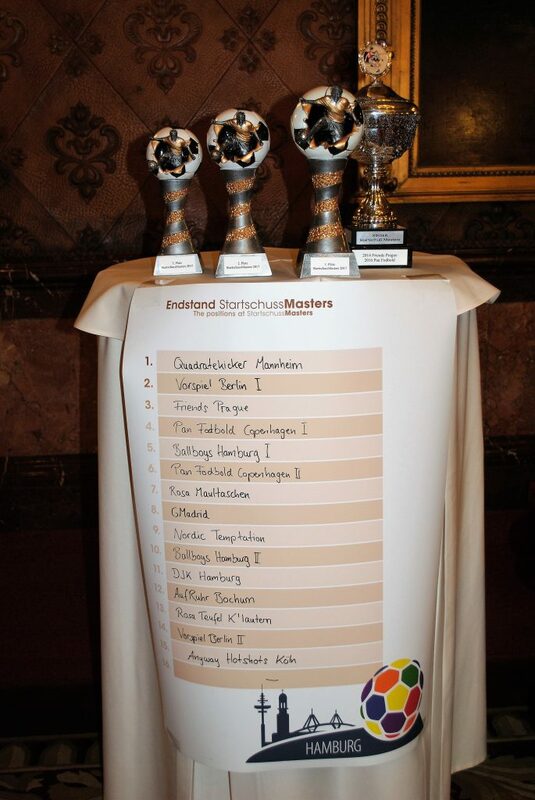 We are looking forward to exciting matches at the eleventh edition of the StartschussMasters on 5h November 2016 and a great weekend with you here in Hamburg. As usual, we start with a warm up at the “Wunderbar”, Talstraße 14 in Hamburg-St. Pauli on Friday, 4th Novemeber. Doors will be open from 7 p.m. for a chat and at 9 p.m. we will start the group draw for the matches on sunday. 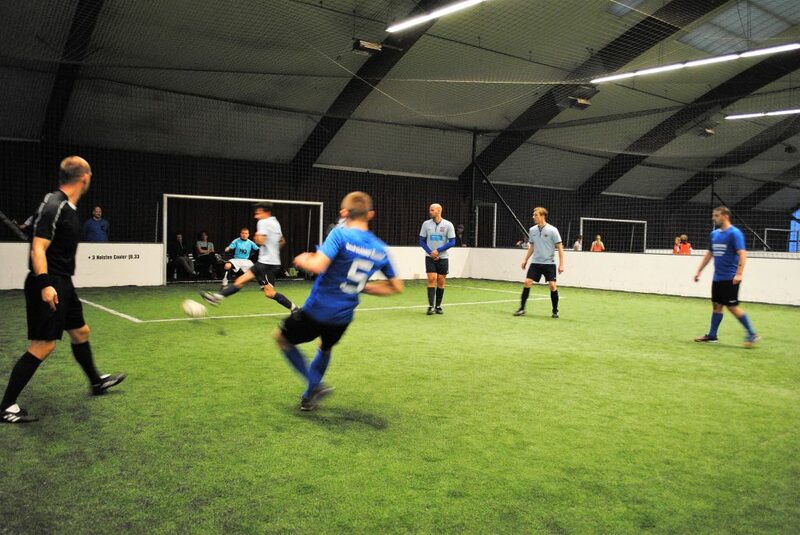 We rented three indoor football fields at the Sportpark Öjendorf (address: Koolbargenredder 31 – 33). Each team will have four field players plus goalie. Kick-off is on Saturday at 10 a.m.
A great international line up. We are especially happy about the support of the politics in Hamburg in form of our patron Farid Müller who once again invited us to the Hamburg town hall for the award ceremony on saturday evening. After that we offer a common dinner. You also have the possibility for private housing at the place of one of our club members. Just write a message to Moritz, bettenboerse@googlemail.com . Have a nice trip to Hamburg and a great weekend. See you at the Startschuss Masters 2016! This entry was posted in General on 20. October 2016 by Alex. We have received the first registrations for the StartschussMasters 2016. We are happy to meet our friends from Frankfurt, Bochum, Cologne, Hamburg, Kaiserslautern, Stuttgart and Mannheim. And we are very proud to announce that we’ll have once again international particpants: The Team Nordic Tempation comes from Sweden and we have visitors from Pan Fodbold Copenhagen from Denmark. There are still slots for five teams – so do not hesistate and register your team HERE. This entry was posted in General on 1. September 2016 by Alex. Sign up now for the StartschussMasters 2016! We are a litte bit late, but finally we start the registration for the ninth StartschussMasters. Matches will take place on 5th November 2016, the tournament fee is 90 Euro per team, and we’d be happy to see you all again. 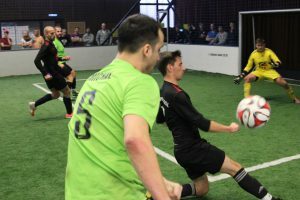 We cannot only offer a well organized indoor tournament on excellent astroturf, we’ll also have an entertaining social programme with party and prominent guests. Signup here and challenge last years’ winner, the GFC Friends Prague. This entry was posted in General on 5. August 2016 by Alex.